WASHINGTON (AP) — The Secret Service sent three agents home from the Netherlands just before President Barack Obama's arrival after one agent was found inebriated in an Amsterdam hotel. The three agents were benched Sunday for "disciplinary reasons," said Secret Service spokesman Ed Donovan, declining to elaborate. Donovan said the incident was prior to Obama's arrival Monday in the country and did not compromise the president's security in any way. Still, the incident represents a fresh blemish for an elite agency struggling to rehabilitate its reputation following a high-profile prostitution scandal and other allegations of misconduct. An inspector general's report in December concluded there was no evidence of widespread misconduct, in line with the service's longstanding assertion that it has no tolerance for inappropriate behavior. The agents sent home from Amsterdam were placed on administrative leave, according to The Washington Post, which first reported the disciplinary action. The newspaper said all three were on the Counter Assault Team, which defends the president if he comes under attack, and that one agent was a "team leader." One agent was discovered highly intoxicated by staff at a hotel, who reported it to the U.S. Embassy, said a person familiar with the situation, who wasn't authorized to discuss the alleged behavior on the record and demanded anonymity. The other two agents were deemed complicit because they didn't intervene despite being in a position to assist the drunken agent or tamp down his behavior, the person said. 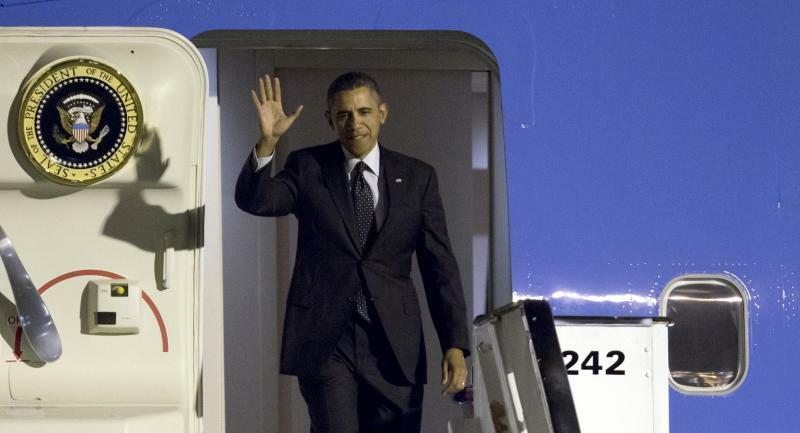 Obama arrived in the Netherlands early Monday on the first leg of a weeklong, four-country trip. He departed for Brussels on Tuesday night, and there were no known security issues during his stay in the Netherlands.